The heating is running nonstop. 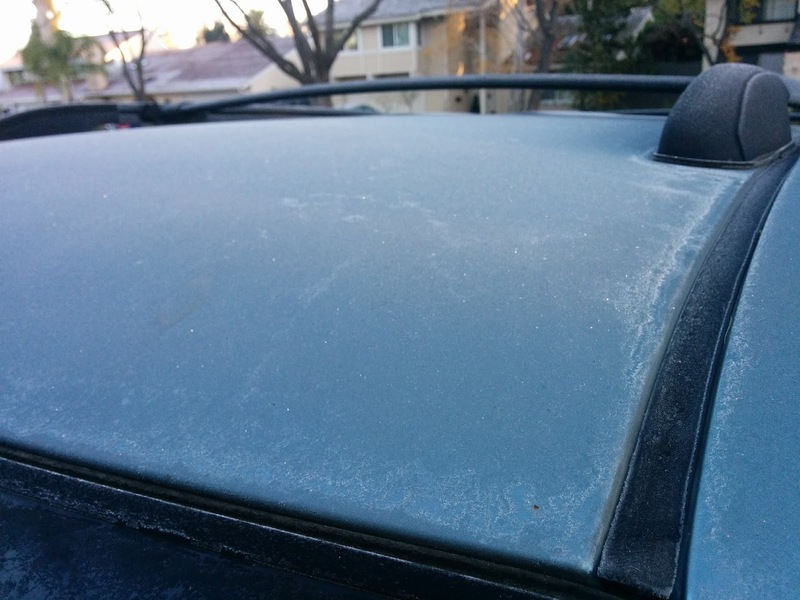 It's cold outside, though the ice on cars and house roofs is not that thick yet. 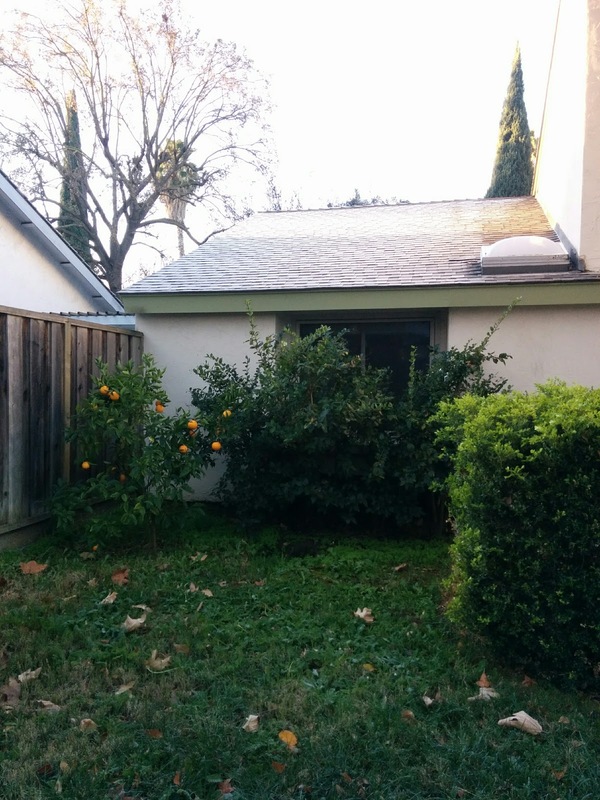 Yep, that's our orange tree next to a frozen roof.